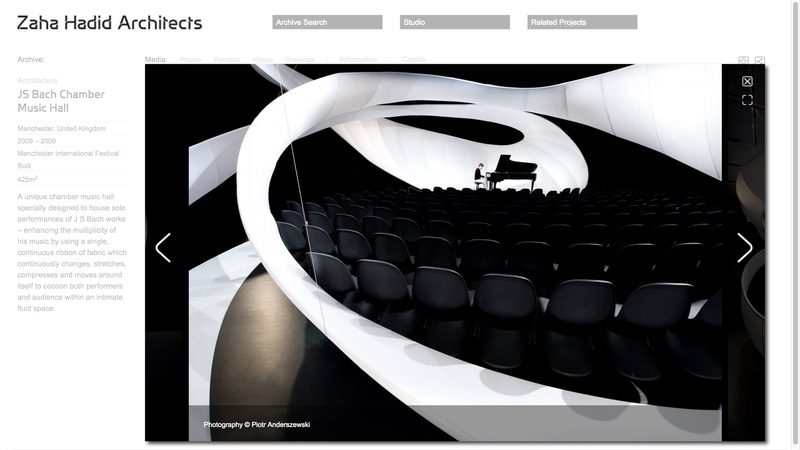 Zaha Hadid Architects wanted a website that reflected their high level of creativity, positioned them as a world leading architecture firm, and showcased their substantial body of work. It needed to be innovative yet highly usable. A powerful and granular Search was essential. And it needed to show a lot of product specifications, whilst also clearing the detail away to let the product images, videos, and drawings speak for themselves. To assist the press, they wanted Project Packs of downloadable assets and information files. 1. Consulting to Zaha Hadid Architects and the agency, and converting the content and technical requirements I discovered or recommended into the statement of work proposal. 2. Creating Information Architecture and User Experience documentation to enable collaboration around design, and a phased sign-off process. 3. Overseeing a content audit of their buildings, masterplans, and design projects. This was followed by defining a taxonomy for everything they had created and their attributes (square metres through to consultants used). 4. Specifying a uniquely customised Content management System for the projects taxonomy and attributes, which was then fed with the large quantity of collated/ selected/ web-prepared/ copy-written/ data entered assets. 5. Creation of training videos and documentation for the team at Zaha Hadid Architects to be self sufficient. The core team was comprised of five people – a Design Director, 2 Designers, Project Manager, Website developer, and myself. Additional assistance was required for taxonomy development, copywriting, content collation and preparation for web, data and content entry. We built the website templates on top of WordPress, and radically customised the Content Management admin to accommodate the product taxonomy, and its large volume of metadata. We note the sad loss of Zaha Hadid on 31 March 2016. Her talent will be missed.